With tailback Rodney Anderson out for the season, Oklahoma will have to rely on a committee of running backs until one separates from the pack. They include sophomore Tre Sermon, senior Marcelias Sutton, freshman T.J. Pledger, and redshirt freshman Kennedy Brooks. According to Sutton, each of the four tailbacks has something different to offer when they get into the game. 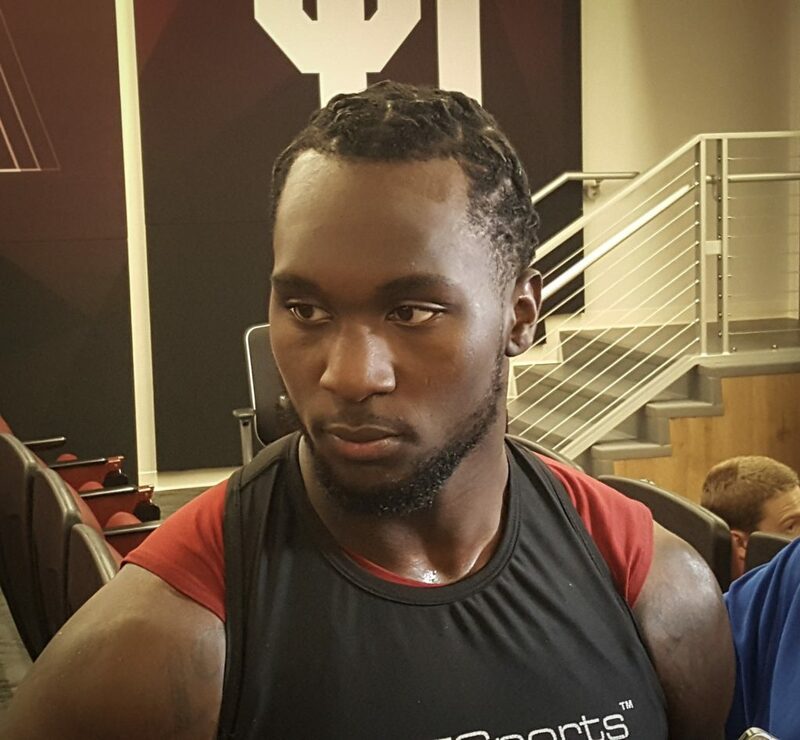 More than 48 hours later, CeeDee Lamb is still being asked about his spectacular non-catch during Oklahoma’s 49-21 win over UCLA. Even though the one-handed grab was ruled out of bounds, that has stopped Lamb’s phone from blowing up. Lamb said he even surprised himself when he went back to see the replay of it. Lamb said he doesn’t know what his vertical jump is right now. But he believes it increases during games when the adrenalin is pumping and more people are watching him. Teammate Marquise Brown is one of those who was watching Lamb as well. Because the wide receiver room at Oklahoma is so competitive, Lamb knows Brown will be trying to outdo him this week at Iowa State. Offensive tackle Cody Ford said there is one thing that has been tougher than him learning to play the tackle position this year. Oklahoma will face its first road test of the season when they travel to Ames, IA. Saturday. However, co-offensive coordinator Bill Bedenbaugh doesn’t seem to care where the game is. In back to back weeks Brown has worn a pair of NFL jerseys to motivate himself heading into games. First, it was the Raiders Biletnikoff then the Steelers Antonio Brown, who he’s related to. Brown was asked what he has in store jersey wise coming up this weekend.